For campers and hikers in need of something with a bit more beef, the Svalbard is incredibly stable in high wind, and its tunnel design makes best use of space and is great and roomy. 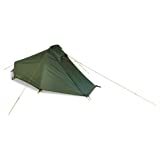 Inner and outer pitch separately, increasing the tent’s waterproof capabilities and durability. With a packed weight of 2kg, the Nordisk Svalbard 1 PU Tunnel Tent is reassuringly sturdy, with enough weight to keep it from blowing away, but light enough to carry around on the trail. 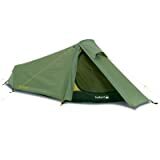 Spoiler alert: this won our best one man tent review its such a great tent. The Nordisk Svalbard 1 PU Tunnel Tentis mainly designed to be sturdy in strong winds. The tent is designed with a recess near the head, to help keep the elements away from you while you sleep. there is a small porch at the front of the tent, which is great for storing wet shoes and for taking in the scenery when the weather allows. Also features magnetic quick-snap door locks for easy access to and from the tent. The Svalbard is made from waterproof and windproof polyester. Serious hikers, weekend trips, and casual campers who don’t mind spending a bit more money. 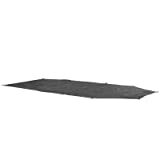 The Nordisk Svalbard 1 PU Tunnel Tent is mainly designed to be sturdy in strong winds.